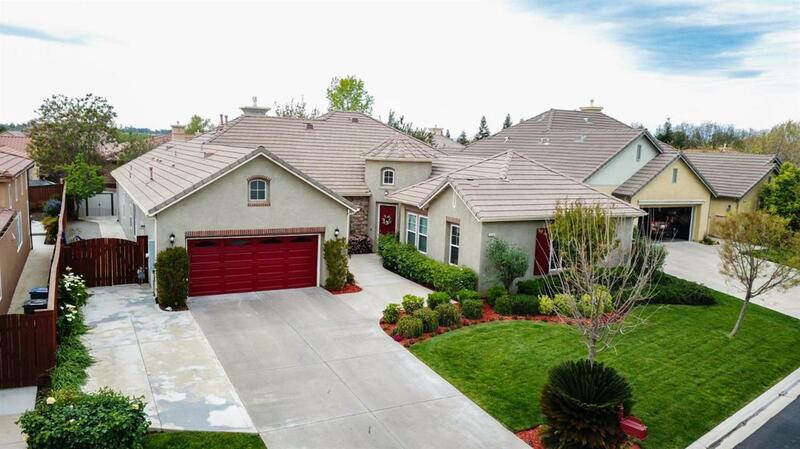 This is a spectacular home in beautiful Quail Lakes. The large front courtyard is enhanced by a unique tower entry, setting the stage for the dramatic features that abound in this home. A stunning 14-foot ceiling and rounded nook wall with abundant windows provide a sense of grandeur to the spacious family room, kitchen and nook. A grand master tub is the breathtaking centerpiece of the luxurious master bath. Private guest bedrooms are located in a separate wing at the front of the home, while a 2-room office suite option was accepted in this home, which is ideal for the professional couple or students. Every amenity in this home has been thoughtfully appointed for the utmost enjoyment of every room. The backyard is easily accessible making indoor/outdoor living lifestyle a breeze and the backyard is a truly private oasis for your pleasure. Don't forget all that Quail Lakes community has to offer.